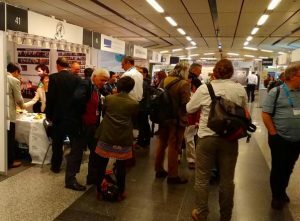 At European Geoscience Union general assembly 2017 held in Vienna, Austria (Apr. 24-28), ERI had a ‘ERI-lovers & Alumni’ gathering at our exhibition booth. Thanks to all the alumnus for showing up and hope you had a pleasant time! The International Visiting Program is a program that invites researchers from overseas to our institute for collaborative research. Call for entries are held every year.